I've never really used giant ants. I always think of them as car sized, but I think they are only supposed to be about 2 feet long. An ant cave dungeon sounds really cool on paper but it just hasn't really ever felt like a thematic choice in my campaigns. I could see it in an open savanna or a cool dungeon under a rainforest. Maybe have a war being fought between red ants and black ants. Maybe the ant queen is telepathic and sentient and has a quest for the heroes. Tomorrow- Axe Beak!!! I love this setting, I really do. Maybe have a war being fought between red ants and black ants. 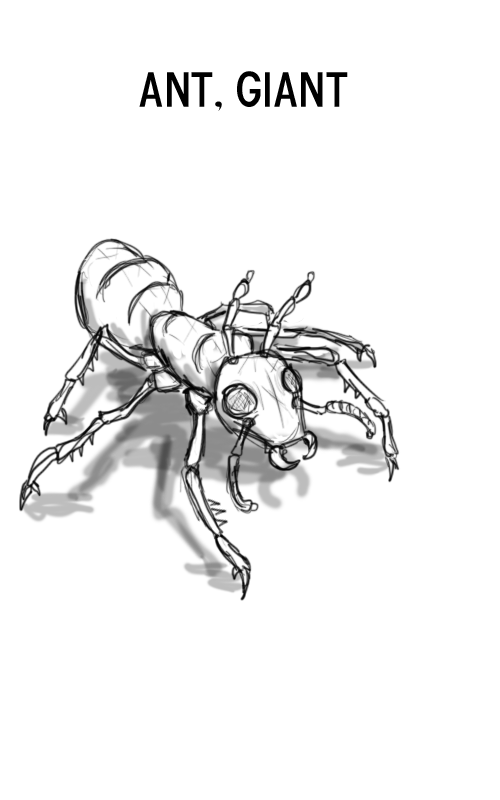 Maybe the ant queen is telepathic and sentient and has a quest for the heroes. Tomorrow- Axe Beak!! !